Hiring the right management company is extremely important. In most cases your investment property is the single biggest investment you have made in your entire lifetime. The wrong management company can cost you thousands of dollars by putting in the wrong tenant or by not hiring the right maintenance technicians and vendors. Even worse, hiring the wrong management company can have you sued for neglect and harm to a tenant. Before you call on a property manager, determine if they have a professional website. Image and professionalism matter. If the property management company does not respond to you quickly when you are a prospective client, it is a sign that their communication will be awful when you become a client. It is also a sign that they do not communicate well with their residents. Communication in our business is extremely important. What are your setup fees, are there any other fees? Some management companies may charge a lower management fee but they charge a setup fee. DFC does not! When do you make owner payments and how often? At DFC we feel that you should get your money right away. We start wire transfers right into your bank account on the 3rd of the month and every day following that. So in case, there is a late-paying tenant we are able to get you your money. The industry average? They normally do a one-time payment the 10 and 15th of the month and for some reason, you miss that cut-off date, you’re not going to get your money until next month. We send an owner report with each payment. Does the company have an owner and resident portal? Technology is crucial to have in Property Management, especially when managing single family properties. Without Technology how are they suppose to keep track of all of the different records and invoice? DFC has has both an owner and resident portal. All documents are uploaded to the portal. Access to reports and work orders are through the portal. 90% of our owners do not live in Saint Joseph, in the state or even the country. So we feel that using technology is so important that they should be able to see everything live as we see it. Does your management company truly act like a business and know their numbers or are they a mom and pop shop that fly by the seat of their pants? At DFC we receive hundreds of phone calls and inquiries about vacant properties. We lease about thirty to forty units per month. A lot of people come to us just to lease their properties because they know we are considered experts in what we do. We use every form of marketing technique at our disposal to get your property rented quickly. Craig’s List, Zillow, Trulia, Signage, Word of Mouth, Facebook Marketplace and much more. So a lot of people know who we are because of our reputation and because of that we are able to get a lot of inbound calls. We realize that vacant property is lost money. If the thing is not rented quick and if you don’t have any phone calls you are not going to be able to select the best tenant and you are going to take whomever comes when you have only gotten one phone call in the last thirty, forty-five days. Saint Joseph average, most agents and mom and pop companies may use one to two mediums. They may use the MLS, they may use Craig’s List, they may use the free newspaper. We feel that you should be using all forms of leverage in multi-media to get people inbound on your marketing. If you are not doing that you are probably missing out on some potentials. What Makes You So Different from other property management companies? People always ask us that and first of all, when it comes to us, we are investors just like you. We own properties. Our properties are in the property management mix. We treat your properties just like we treat our own. We inspect them 4 x a year. We place the most qualified tenants in and focus much of our time improving our systems and services. We firmly believe that all companies need to embrace and pursue technology to cut down expenses and increase ROI. What Are Your Average Days on Market for your vacant homes? You want to know when a property manager has your properties, how long will it take to get a tenant in? At DFC, currently our days are eighteen to twenty-five days vacant. And the average in Saint Joseph is double that. So we are running about twenty to twenty-five days ahead of the average. Just so you know, every two weeks that your property sits vacant is a 2% annual revenue that is lost on your property and you will never recoup it. So we realize as investors that you want to make sure that you get your property rented because it is not making you any money. At DFC, we manage, our average rent is $685. So if you are looking for a property management company, you want to find out do their properties fit the type of properties you have? We have properties that are two, three, four thousand dollars per month and then we have other ones that are a thousand dollars per month. We do not rent anything that is $400 or below because it is a different business model. We know because we have owned them in the past and they can be quite a lot of work and we just choose not to handle lower end properties. DFC has a less than 1% eviction rate and we currently manage over 400 units. The average locally is 9%. We have learned that it starts with who you do and do not accept in the property. That is where your problems will start and if you nip that in the bud in the beginning you will have to deal with a lot less headache down the road. DFC turnover time frame is two to three days the Saint Joseph, MO average is five to seven days. So you want to know when your property is getting ready in-between tenants. 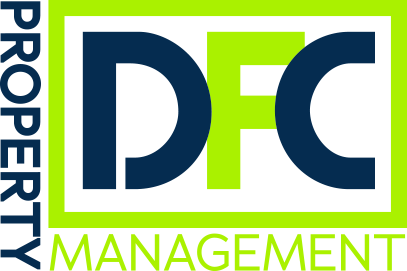 How long will it take to get the property rent ready; that’s very important to know..
We hope that you would consider DFC as your property management Co.!